Nordic skiing has a lot more to do with Alpine skiing than skateboarding does with snowboarding. I traveled to Willingen, a town in the Sauerland area of Germany, to further my skiing abilities, and for the first time, skied fully in parallel, executing pretty stem turns and schussing down a moderately steep piste. Four hours of lessons produced a recognizable and functional technique that could get me safely down the slope with good control. By the end of the weekend, I could ski comfortably, avoiding oncoming traffic and the hundreds of Dutch children covering the bunny hill. I even ventured up the Seilbahn (gondola lift) to take on the big hill. I fell once, sliding due to a bit of fear (my survival reaction is to lean backwards, a quick way to lose control), but no harm done. I seemed to have learned how to properly fall in the process, too. The instructors both made a good point: I was not a beginner skier. Unlike instructors in the US, who pooh-poohed my hundreds (if not at least a thousand) kilometers of Nordic experience, the Germans were quick to describe each Alpine technique in Nordic terms. This was a confidence boost and made it easier to adopt the new technique of pushing the tails wide (stemming). 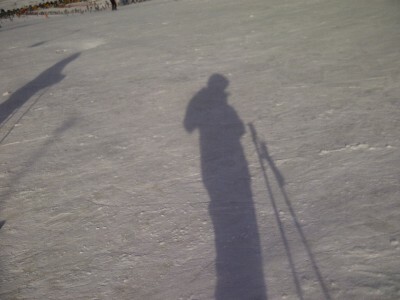 I expect I’ll be skiing through the summer, over at the Skihalle in nearby Neuss. Yes, it’s a bunny hill, but I see no reason not to own it, too. 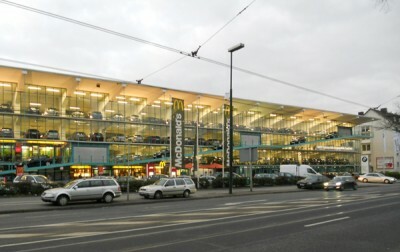 From my Autoholics feed: There is, indeed, a McDonalds in the BMW dealership in Düsseldorf. You want fries with that 7er?